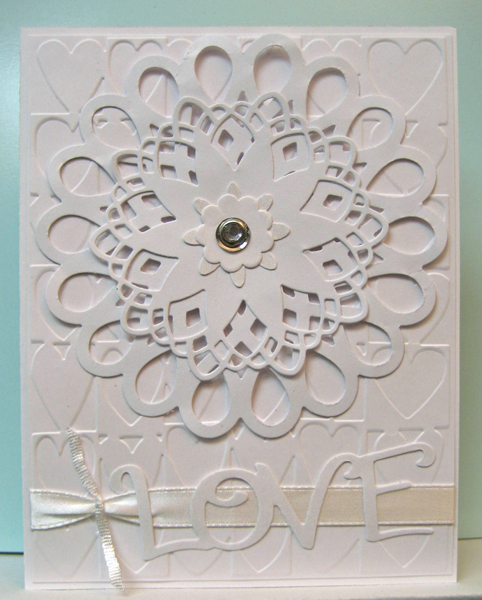 After some success with making a white on white anniversary card I was on a roll so I worked on this card. The central medallion was created by layering three lace doily die cuts (SX) to which I added a pearly daisy punchie and a small round flower punchie. I tied them all together using a rhinestone brad layered over a silver sequin. 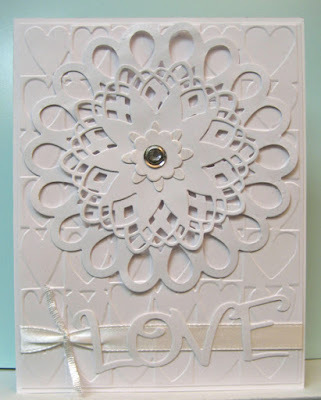 I layered the embossed heart background over a white card after adding the length of white satin ribbon near the bottom. 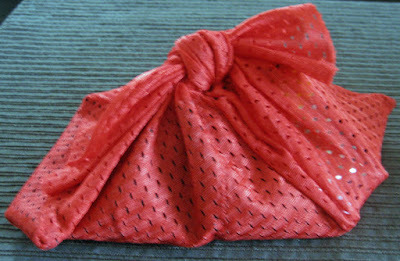 I tied a short piece of white fiber to the left hand side with a double knot to add some interest and texture. I adhered the medallion with 3D foam tape and then used white glue from a fine tip applicator to adhere the "love" (SX) die over the ribbon. I placed a bit of weight on it until the glue was dry to keep it in place and flat. This card would certainly be appropriate for a wedding, anniversary or Valentine's Day!! Gotta love versatility! !